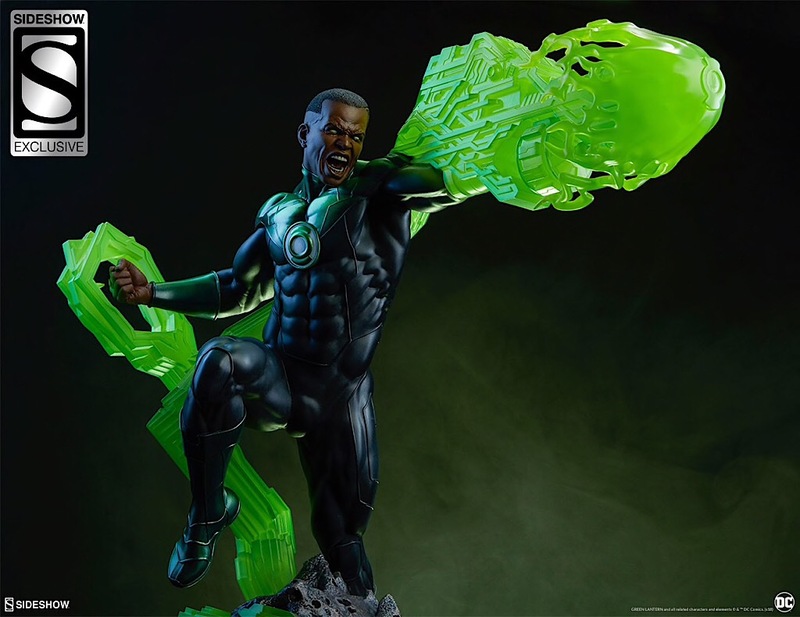 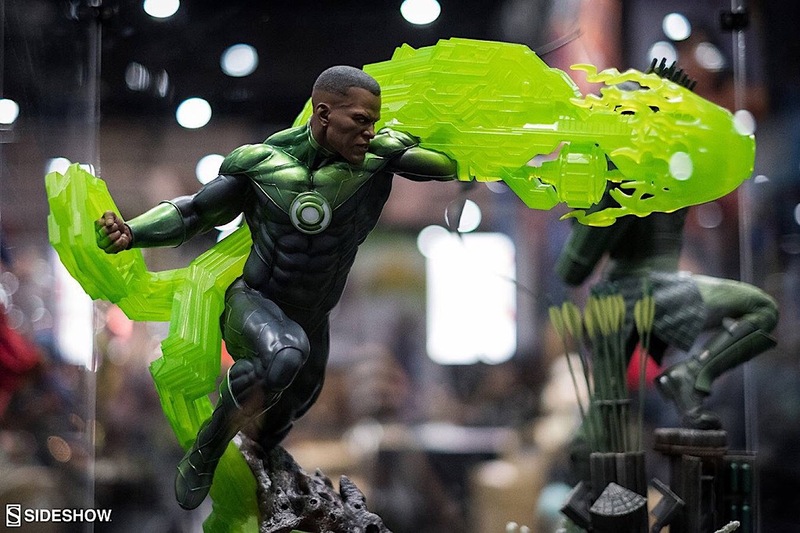 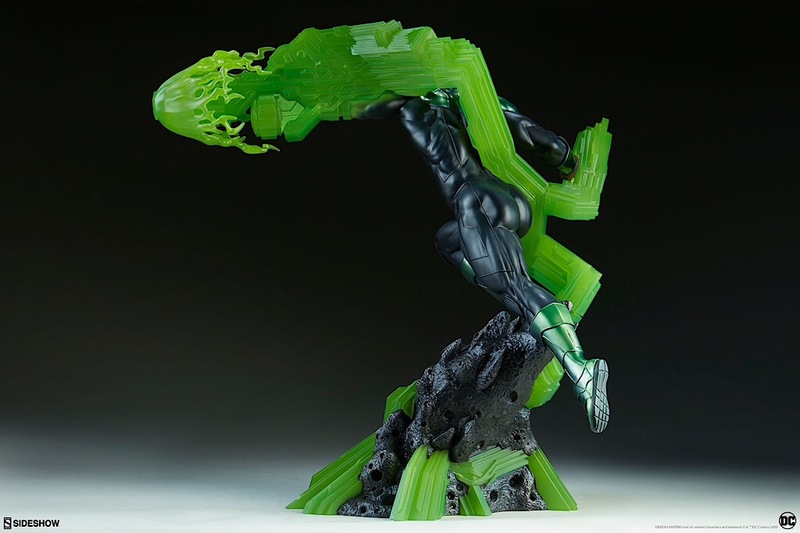 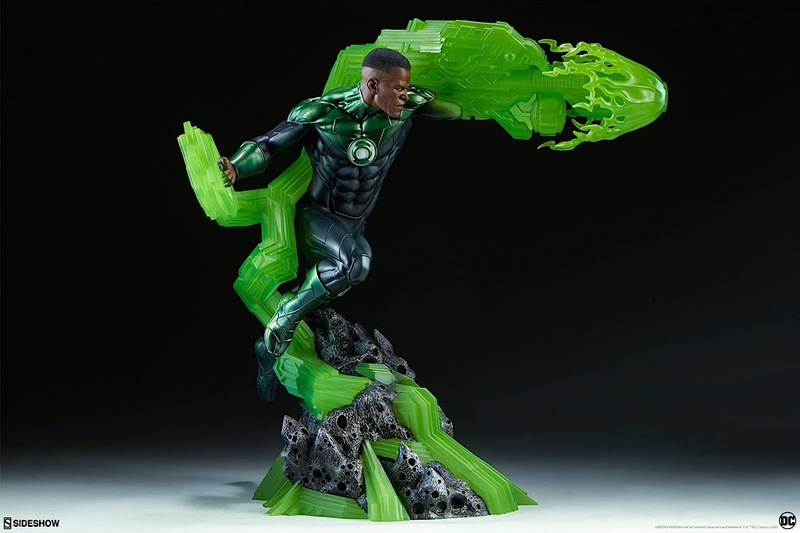 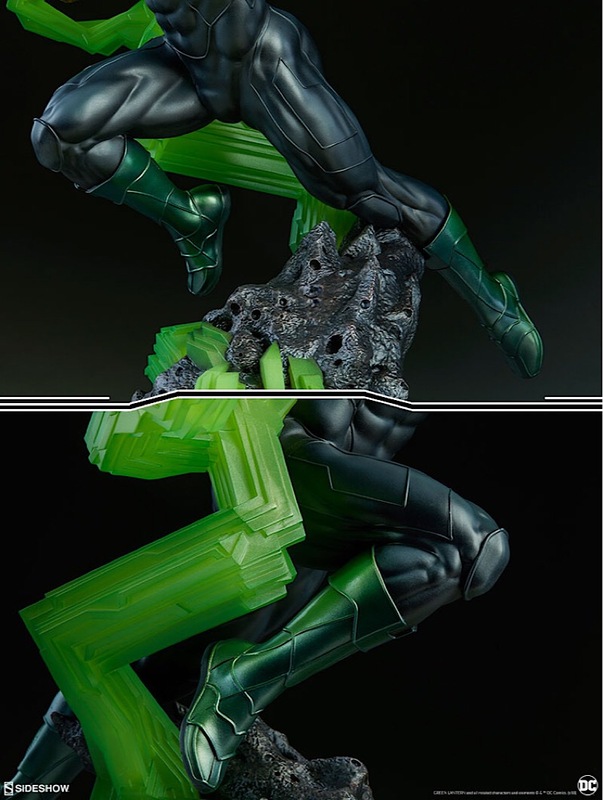 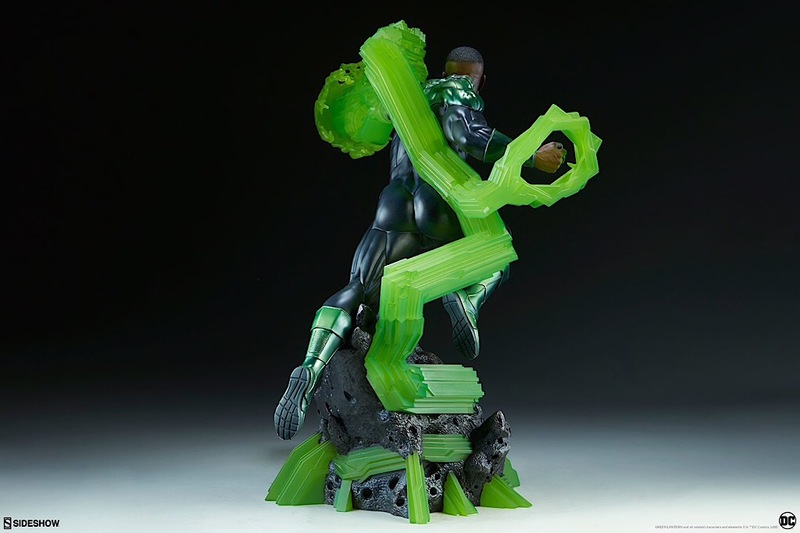 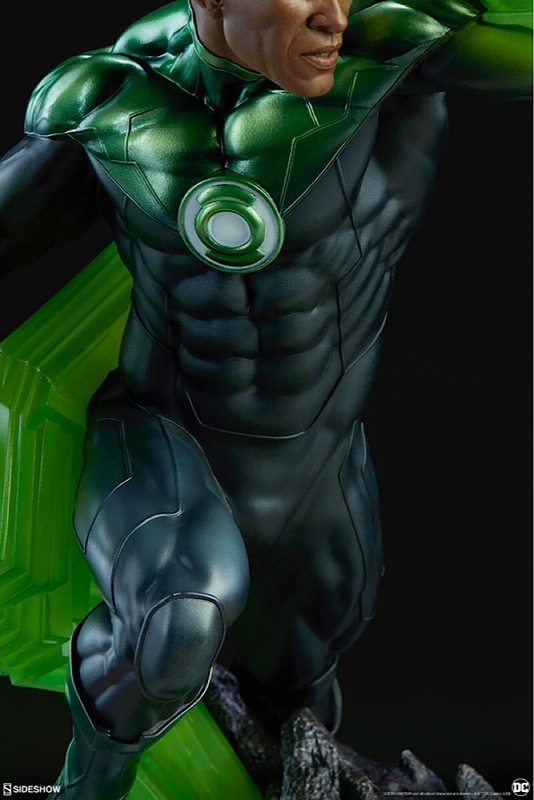 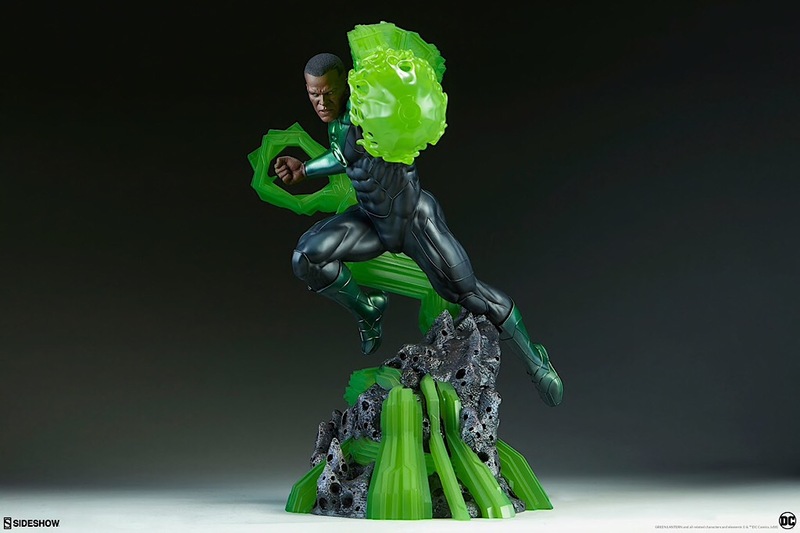 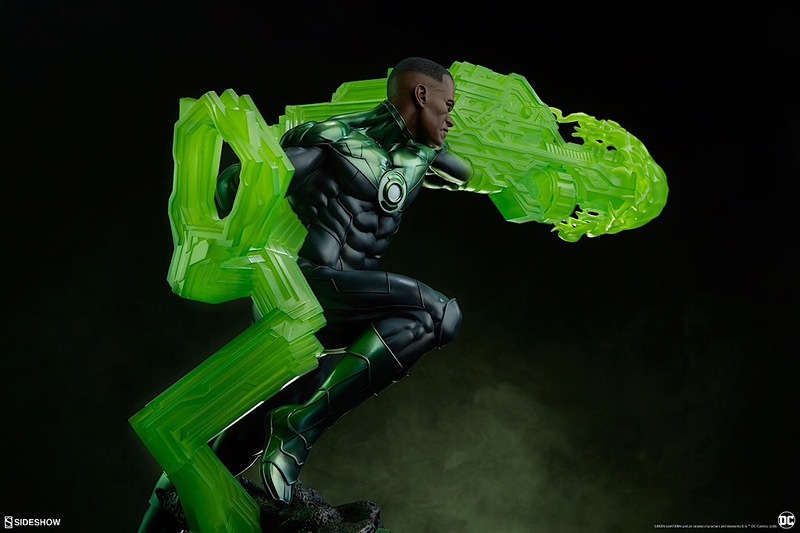 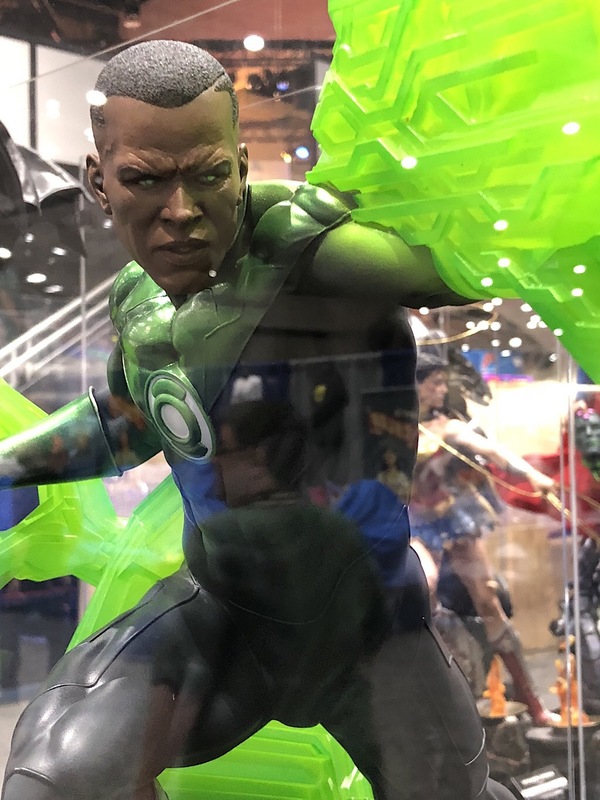 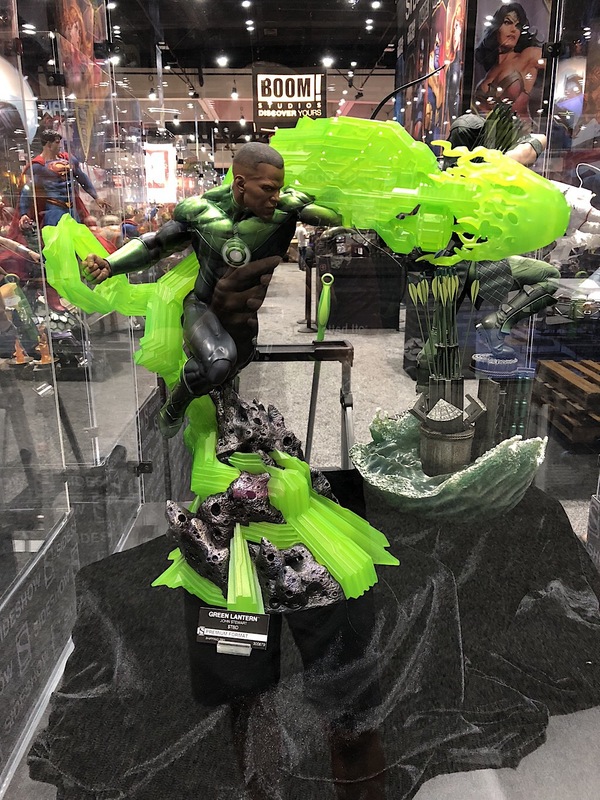 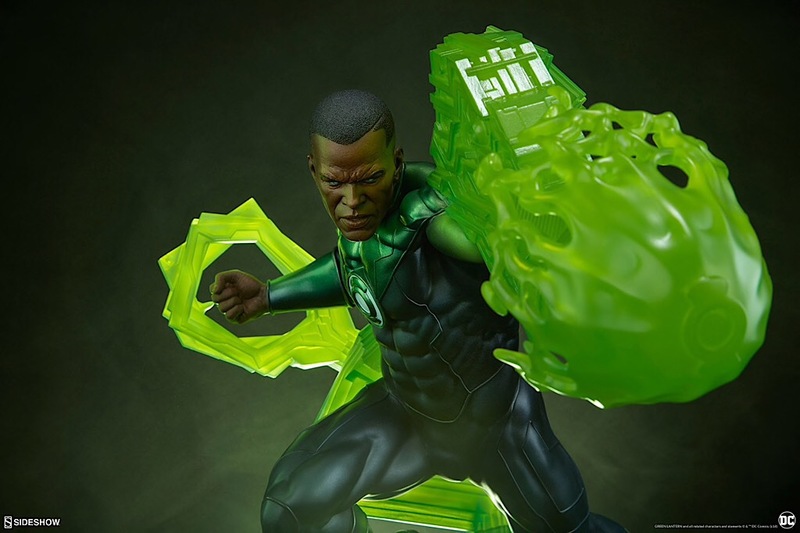 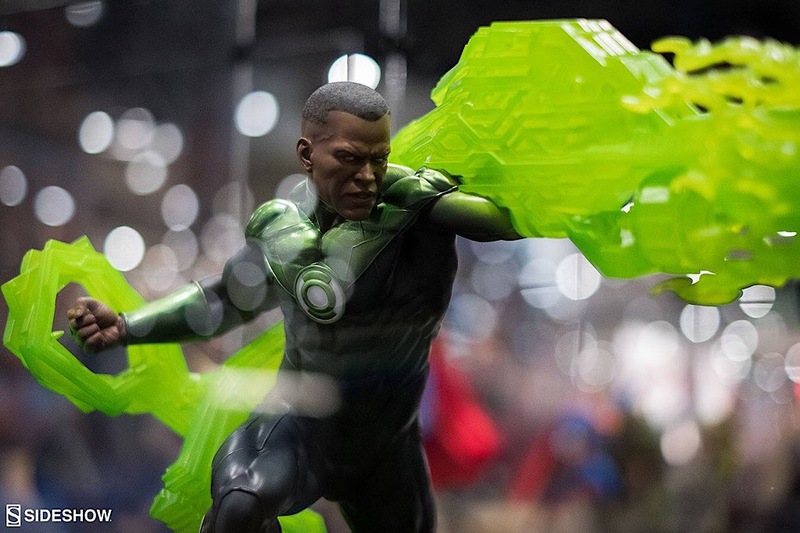 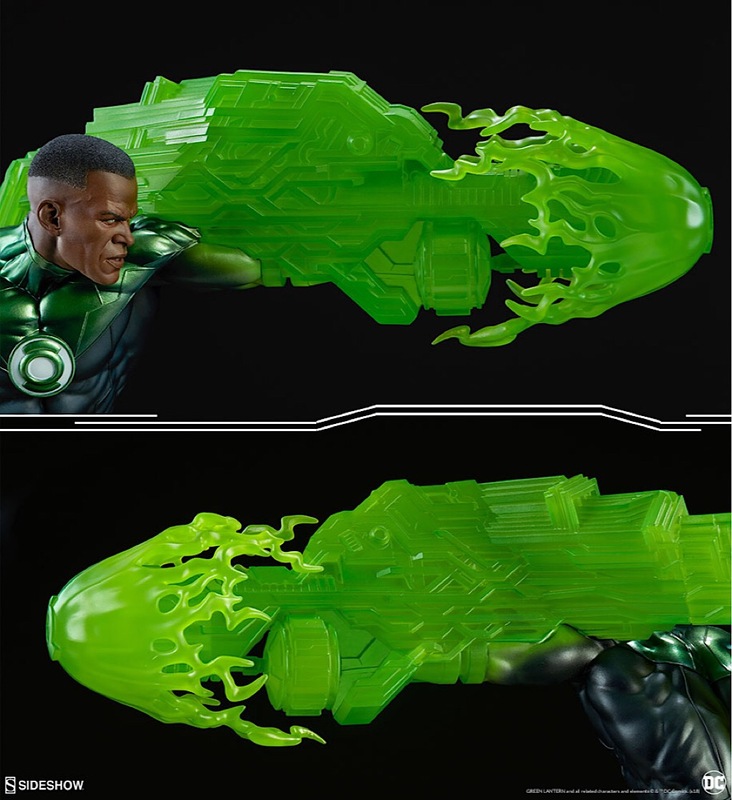 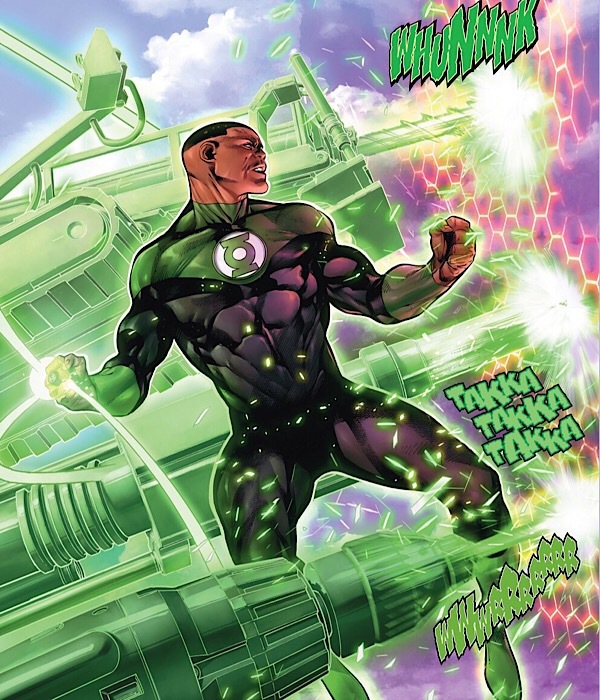 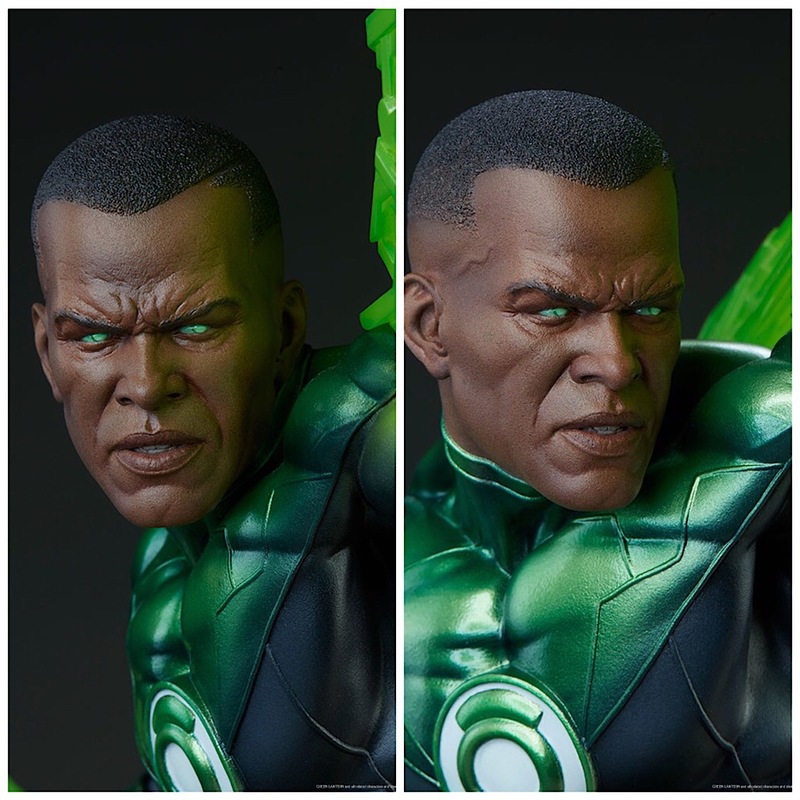 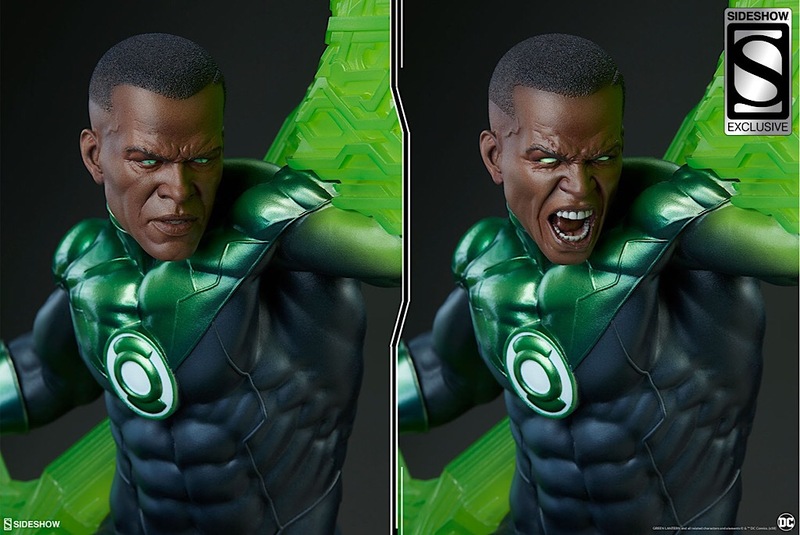 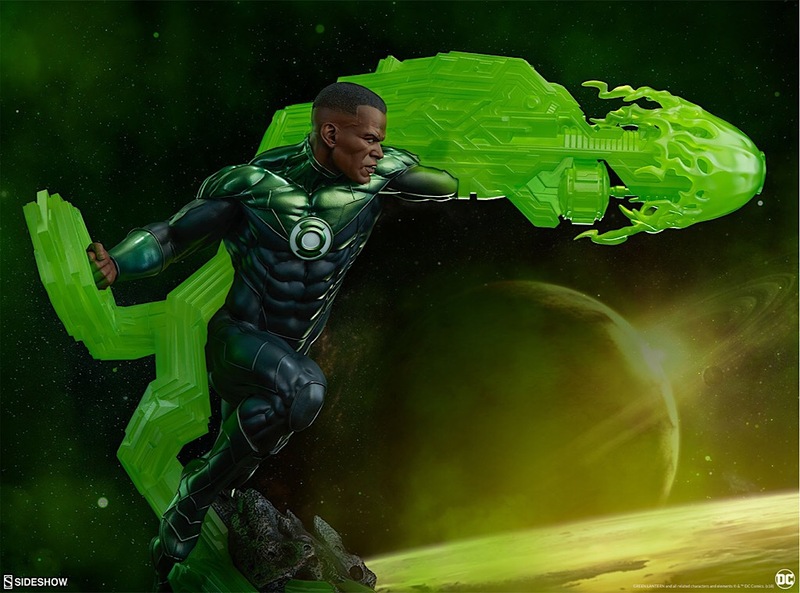 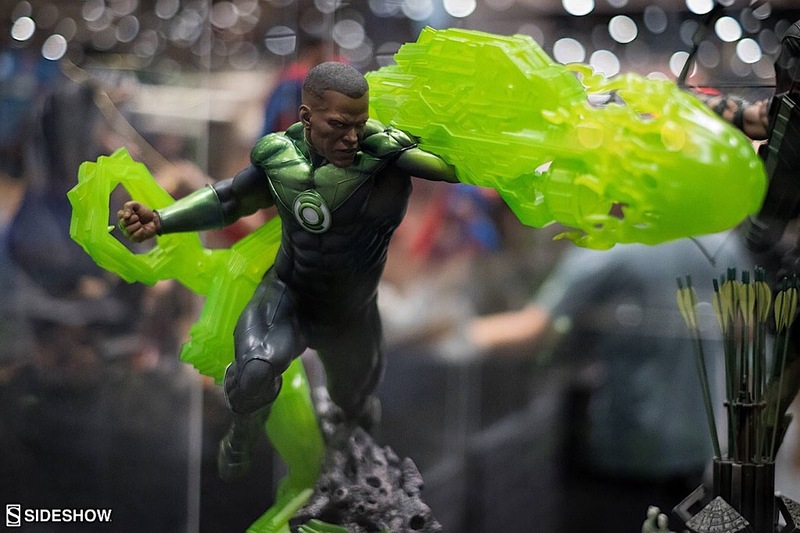 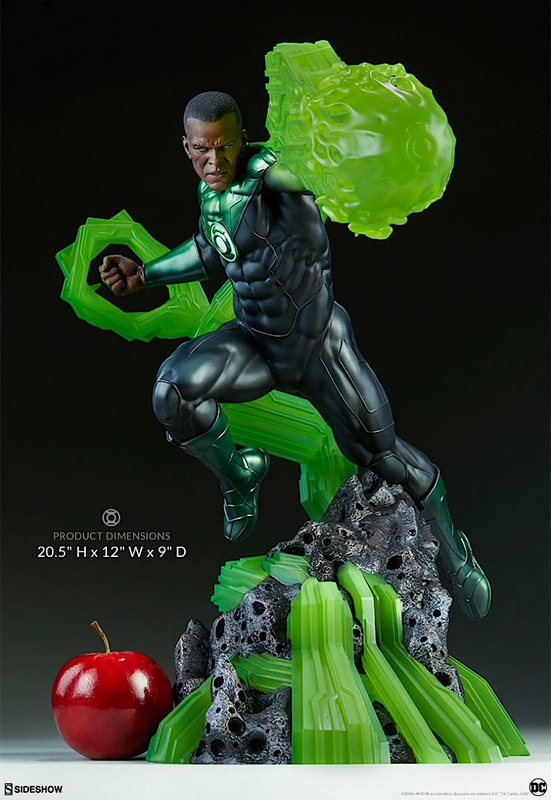 In brightest day, the Green Lantern Premium Format Figure captures the indomitable will and strength of John Stewart as a member of the Green Lantern Corps. 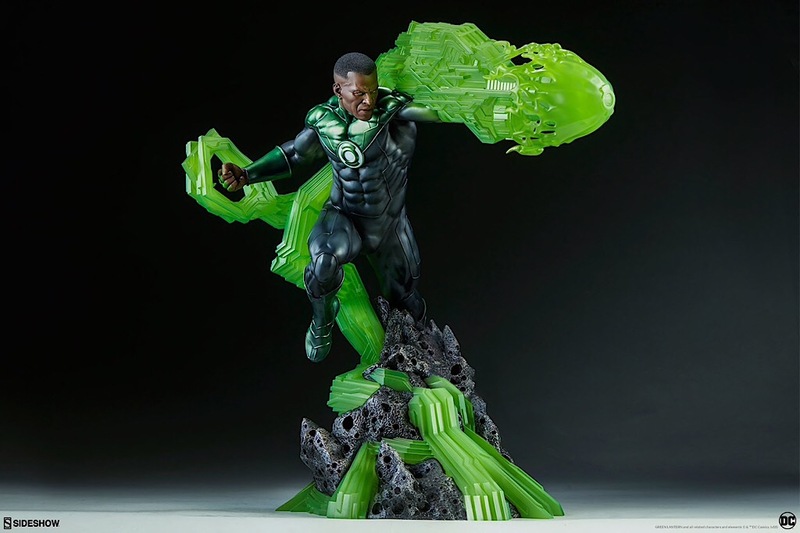 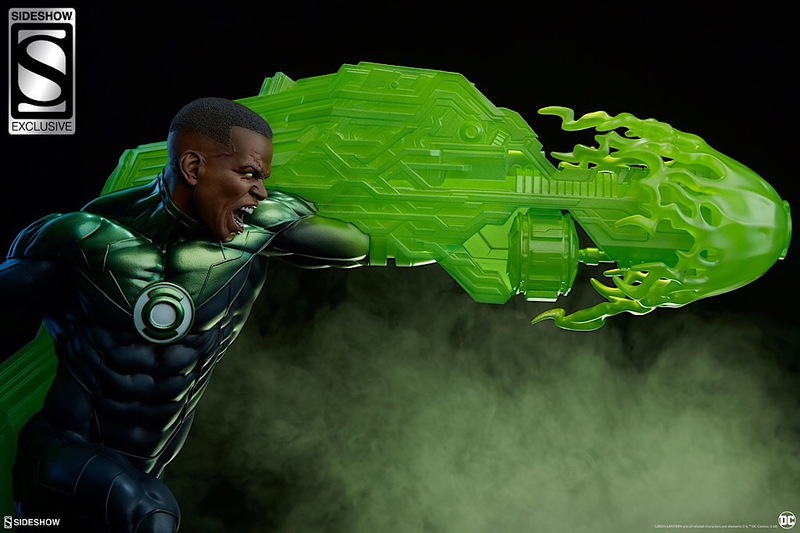 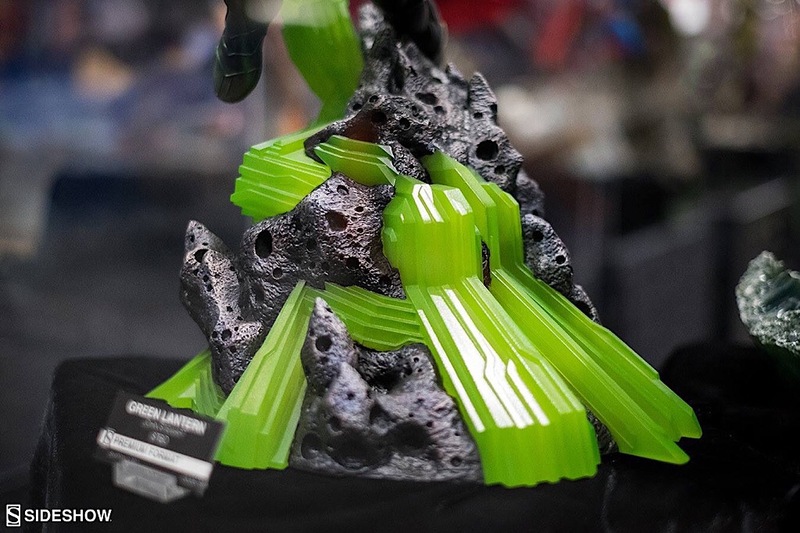 He measures 20.5” tall atop a detailed meteorite base, conjuring a hard-light construct weapon from his Green Lantern ring. 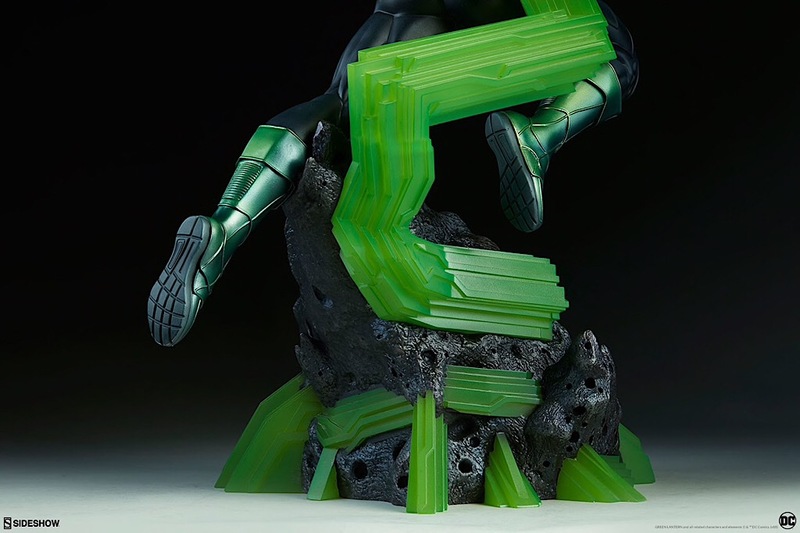 The vibrant translucent base element is composed of solid, geometric shapes, reflecting John’s levelheaded and serious attitude. 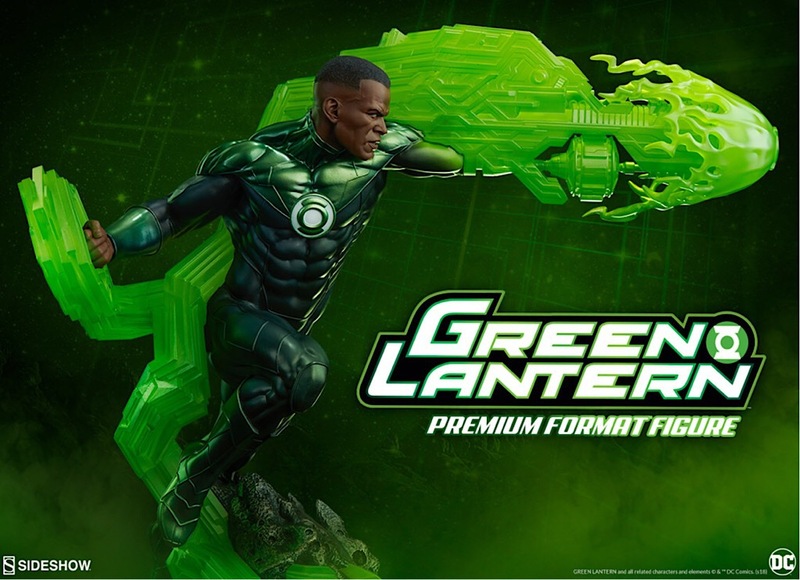 Den finde ich auch klasse. 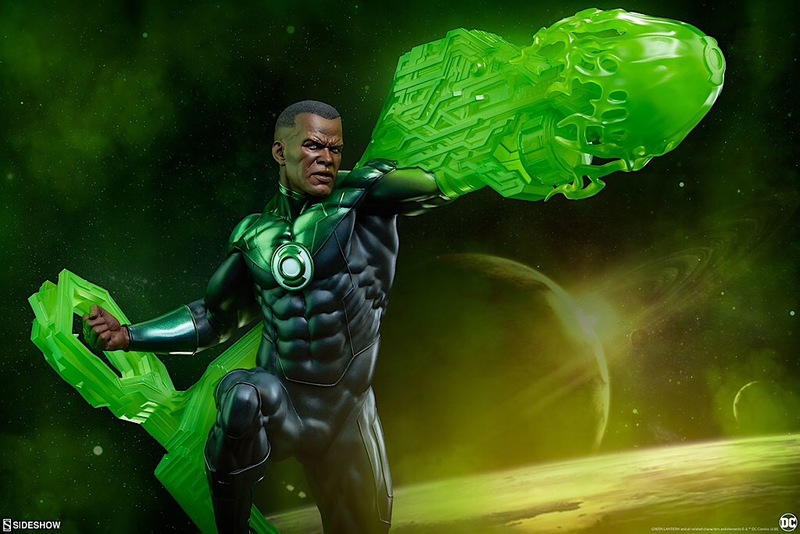 ich gehe mal davon aus das das grüne Licht kein Plastik ist sondern Poly. 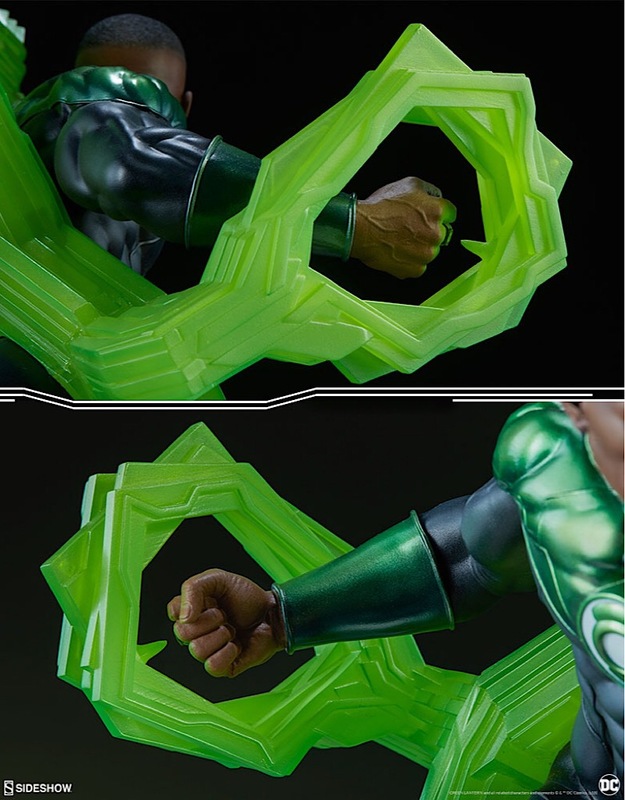 Aber es sieht (für mich) dennoch wie Plastik aus. 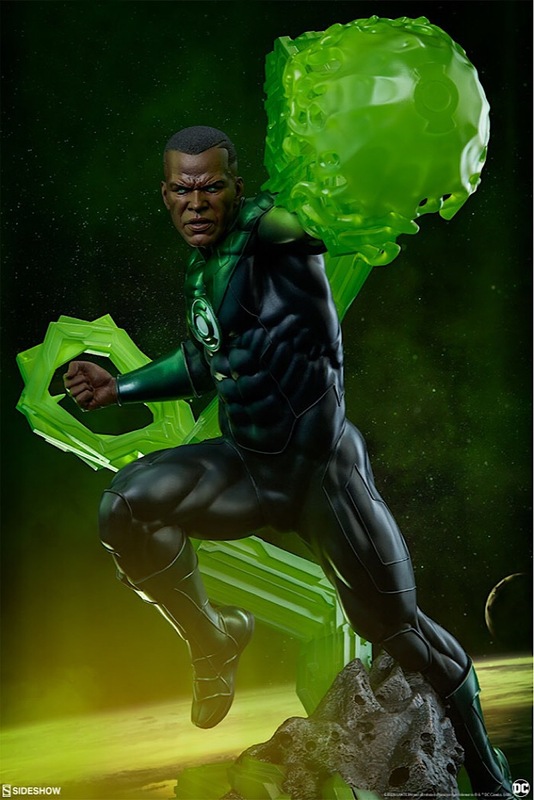 Hätte ich mir viel durchsichtiger gewünscht. 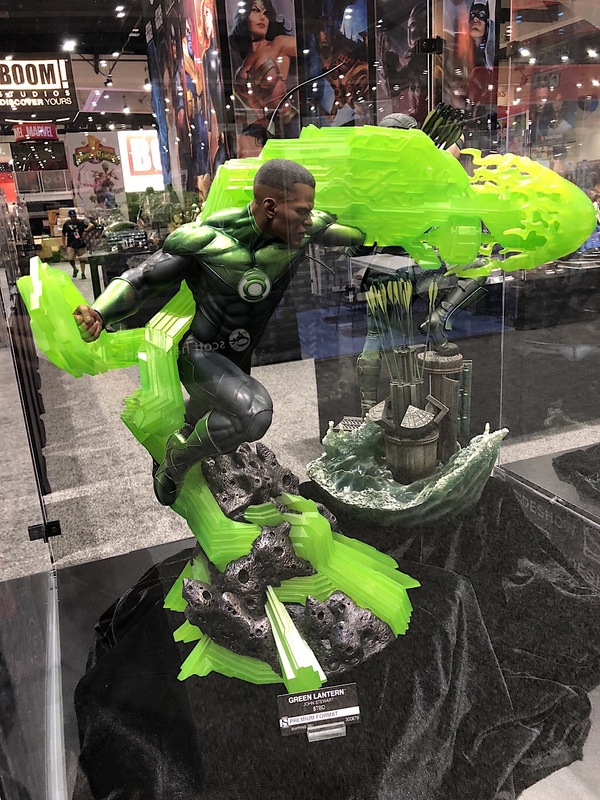 Pre-orders for the Green Lantern John Stewart Premium Format Figure will begin on Thursday, October 11th between 12pm-3pm PST. 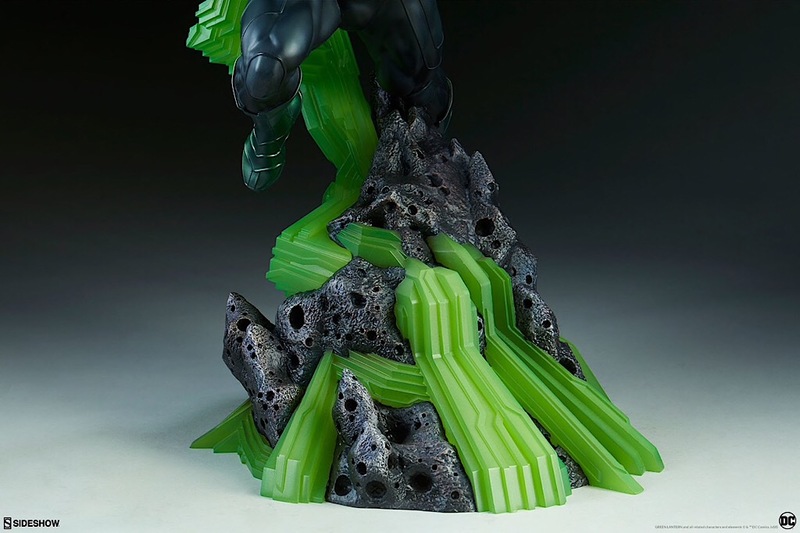 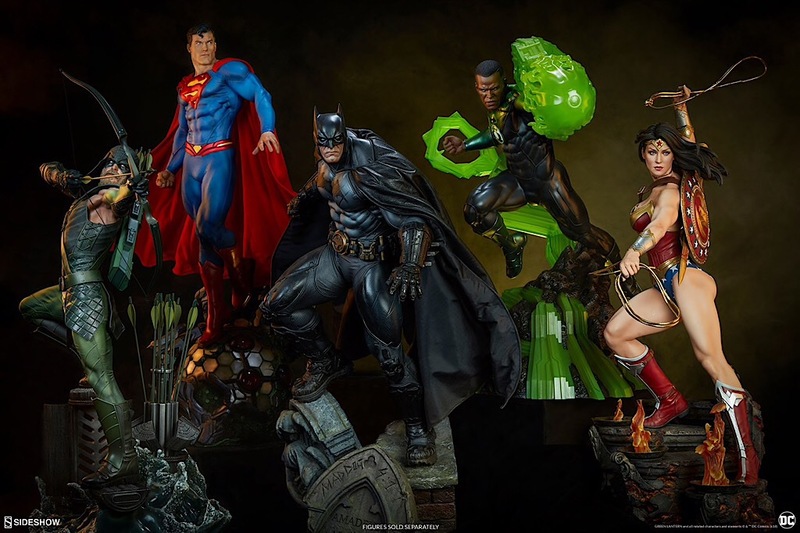 The Exclusive Edition will be priced at $595.00 USD and the Collector Edition will be priced at $580.00 USD.